How Canada benefits from the oil sanctions the United States plans to place on Venezuela is contingent on the country’s ability to move its Western Canadian Select crude oil to U.S. refineries, said two oil industry experts. As part of an effort to effect regime change in Venezuela, U.S. President Donald Trump announced this week he wants to place sanctions on the South American country’s oil industry. The U.S. is at odds with Nicolas Maduro, who was recently sworn in for a second term as Venezuela’s president following elections that were deemed by the international community as fraudulent. The U.S. and several other countries, including Canada, recognized Juan Guaido, the leader of Venezuela’s National Assembly, as the country’s interim president. The U.S. has long been a major importer of oil from Venezuela as its heavy crude is preferred for producing diesel fuel. Should those sanctions take effect and as the U.S. looks to other sources for heavy crude, Canada will be at a disadvantage, according to Tom Koza of the Oil Price Information Service in New Jersey. “You (Canada) got a lot of heavy oil, but you don’t have the logistics… to get it to the U.S. Gulf Coast,” Koza said, adding the railways should benefit from any increased crude oil exports to U.S. refineries. And with those refineries demanding heavy crude he was still optimistic of Western Canadian Select crude oil making its way south in larger quantities. Until the specifics of the sanctions are known, Gary Mar, president of the Petroleum Services Association of Canada, is skeptical of what might happen because of the U.S. president. “Trump tweets without much regard for consequences or he changes his mind,” Mar stated. He pointed to the U.S. sanctions on Iranian oil, which came with numerous waivers that to him made those sanctions rather meaningless. At this point it’s uncertain if Trump will include waivers on Venezuelan oil. “That’s a political issue that’s hard to predict. The U.S. president often makes decisions without detailed advice being given to him,” Mar commented. Of the 3.3 million barrels of oil a day Canada exports, he pointed out that approximately 10 per cent is by rail. Also the Province of Alberta’s plans to add enough rail cars to move another 120,000 barrels a day will take one to two years to implement. 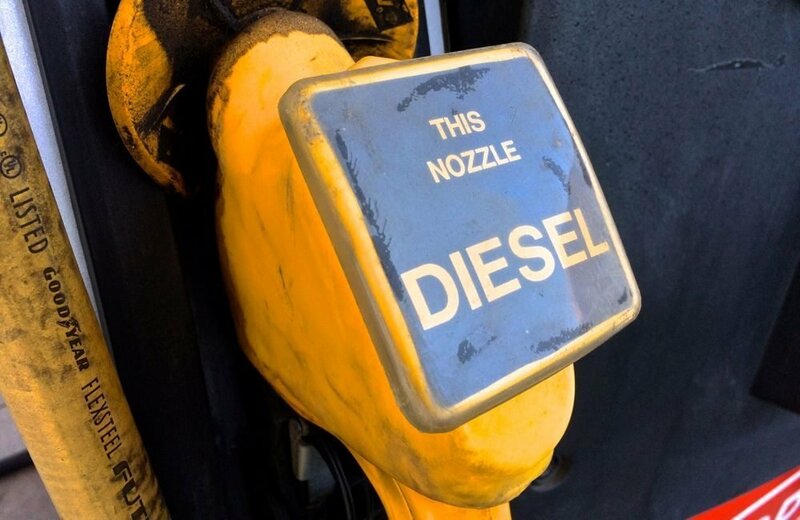 Although Koza is confident that U.S. sanctions on Venezuelan oil “won’t be a global inflation event” there’s something else on the horizon that will drive up world diesel prices in about a year’s time regardless of where it was produced. “Next year (the refineries) may not want a lot of heavy crude oil because it comes with a lot of sulphur. That high-sulphur fuel, which now goes into powering (ocean-going) vessels is going to be illegal to use in January 2020,” Koza said. Until then consumers very likely won’t see any increases in diesel prices.